There is nothing like wearing a perfectly fitted, custom made suit. From the choice of fabric through to the individual stitch, custom made garments allow you the freedom to express yourself and your individual tastes. We house a variety of fabrics and colours including wools and silks, right through to linens. And we source from a variety of mills from around the world including: France, Germany, Italy, New Zealand and England. Depending on your request, bespoke garments can be fitted and stayed specifically for you in 4 to 8 weeks. 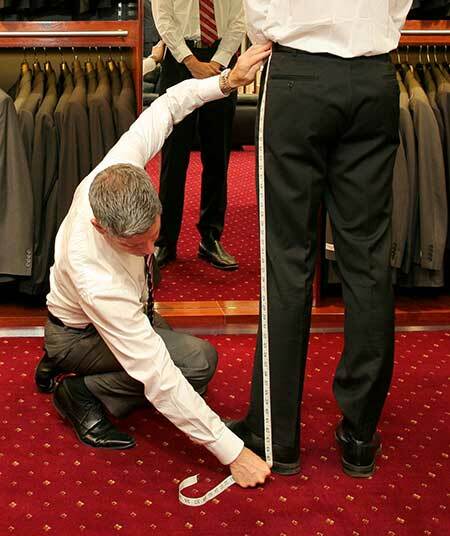 When it comes to perfect-fitting custom made garments, look no further than Stuart Suits. Call us on 07 3221 1794 to arrange and measure and quote. Or better still, drop in and speak to one of our experienced suit specialists about your individual requirements.